Furnished studio, 1 and 2 bed flats with a balcony or terrace and 3 bedroom townhouses to rent in Dyce, Aberdeen. Free high speed broadband and a free parking space, plus flexible contracts mean you can rent for as long as you like. Close to D2 and ABZ business parks, Aberdeen airport and the city centre. M&S and Co-op nearby. Our interior layouts and clever storage solutions maximise your living space, while each apartment has its own balcony or terrace giving you extra room to enjoy your home. Luxury furnishings, German kitchens and sleek modern bathrooms provide our rental properties with an unbeatable combination of space and style. All our flats to rent in Dyce, Aberdeen, are stylishly furnished so there’s none of the inconvenience or cost of buying and moving in furniture. We provide free high speed broadband for all of our residents so you can stream your favourite music and TV from day one. Our management team are here Monday to Saturday and can take receipt of your parcels while you’re out and make sure your grocery deliveries stay chilled until you get home. There’s a free underground or overground parking space included for each apartment as well as bicycle storage if you need it. We even have pet-friendly properties! We've thought of everything so you don’t have to. Located within the beautiful Stoneywood Estate, Forbes Place is surrounded by landscaped gardens and is within walking distance of M&S and the Co-op. 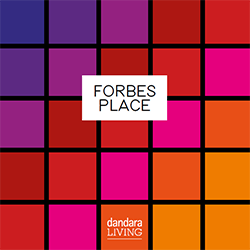 Conveniently close to D2 and ABZ business parks and Aberdeen airport, and with regular buses and trains to Aberdeen city centre, Forbes Place is well connected.